This is my second installment of "Timewarp Tuesday" (catch the first one here). 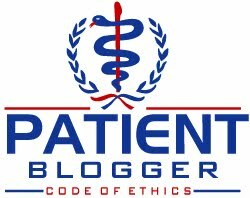 The year was 2004, and following former President Bush's decision to limit the National Institutes of Health (NIH)-funded embryonic stem cell research only to a few cell lines that were created prior to the completely arbitrary cutoff of August 9, 2001, many patient advocates were still struggling to work around the delays caused by that policy decision and keep this research moving forward. In particular, the scientific community expressed frustration not with the lack of NIH funding for embryonic stem cell research per se, but because of the restrictions that accompanied the policy. For example, entire new laboratories that were funded separately from the NIH needed to be established to conduct stem cell research at universities, because non-approved stem cell lines could not even come into contact with a microscope paid for (even partially) by the NIH, or even be in the same room as an "approved" cell line. That made scientific work unnecessarily complex and not terribly productive. The reason embryonic stem cell research was viewed as having the potential to cure type 1 diabetes is because in theory, we could use stem cells to grow an unending supply of new pancreatic beta cells that then could be transplanted into patients who lack these (or other) cells, as is the case in patients with type 1 diabetes. Of course, this assumes that we can resolve the autoimmunity problem, and as I have written previously, there are a number of different autoimmunity treatments in various stages of clinical trials to address this piece. Note that since the time of this chat, a company called Geron Corp. has since managed to culture pancreatic beta cells in a laboratory using embryonic stem cells. Unlike earlier efforts, the Geron beta cells are reportedly sensitive to glucose levels, a problem which plagued earlier stem cell research efforts to culture pancreatic beta cells by researchers in Israel. But the Geron development occurred in spite of the Bush stem cell policy, not because of it. In January 2009, Geron announced that the company had received FDA approval to proceed with the first-ever human embryonic stem cell studies (these particular trials, however, do NOT involve diabetes). 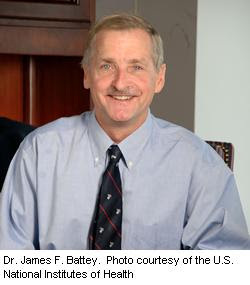 In June 2004, I hosted an online chat on DiabetesStation.com with Dr. James F. Battey, MD who today is the Vice Chair of the U.S. NIH Stem Cell Task Force (see here for more on that role), although he was the Chairman of that Task Force back in 2004. The DiabetesStation.com chat was undoubtedly geared specifically to the diabetes community, but many of the challenging questions we asked Dr. Battey were of interest to a larger stem cell advocacy community. Thanks to the Internet Archive Wayback Machine (which, according to The Wall Street Journal -- see here for the article noted), is named for the time-travel device featured in the "Rocky and Bullwinkle" cartoons back in the 1960's), I am able to retrieve the transcripts to the chat I hosted with Dr. James F. Battey in 2004. To see the transcript of the chat with Dr. James F. Battey, please use this link, or click on the "Wayback Machine" logo below (a word of advice: be patient, at times, it can take longer-than-usual for archived pages to load).